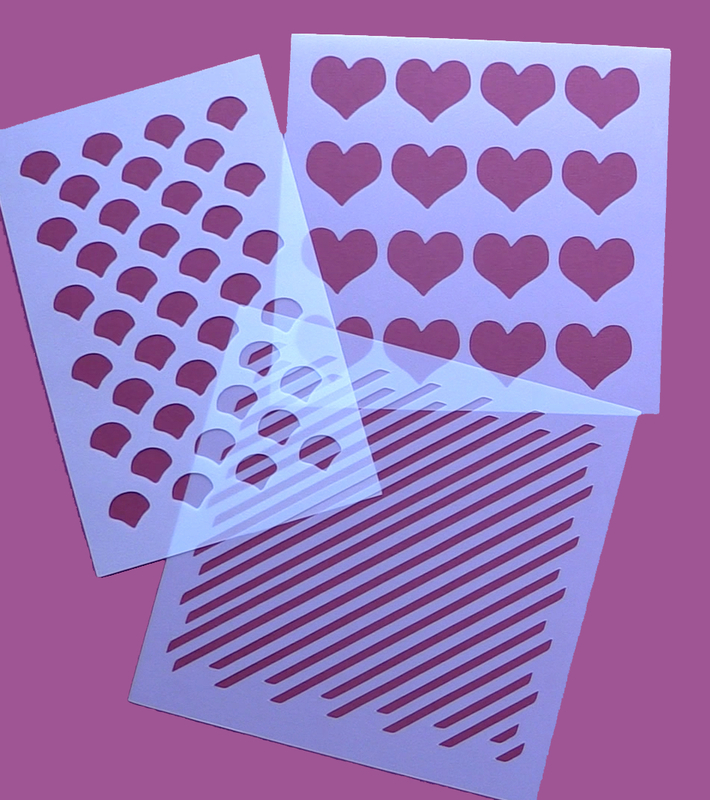 One of the best things about the Brother Scan n Cut (at least in my opinion) is that you can cut out stencils with it. In the past, we had been using cardstock to cut out our stencils but as you can imagine, the cardboard doesn’t last very long after you’ve sprayed it a few time with ink sprays and painted it over with acrylics and various other mediums. We have been wanting to test it using stencil plastic for ages but the only stencil plastic we had on hand was a thick stencil plastic that we knew the Brother Scan n Cut would have trouble getting through. So when we found some thinner acetate at one of our local craft stores we couldn’t wait to get home and give it a try. We were amazed to find that it worked perfectly but we also wanted to try some Mylar. Now Mylar comes in a range of thicknesses. We use a really thin Mylar which is like cellophane for our machine embroidery but the Mylar we ordered to try out on the Brother Scan n Cut is a lot thicker and sturdier than that. Since we didn’t know what thickness would actually work we ordered both a 4mils (100 Microns and a 5mils (127 microns) version. The thickness of Mylar plastic is expressed in 1000th of an inch although and it is called ‘mils’ it does not equate to millimetres. Well we were pretty happy with the result as both thicknesses worked beautifully. You can watch the video to see the results. Note: we use a cutting blade size of 4, blade pressure of 0 and cut speed of 3 for both the Acetate and the Mylar. We used a standard mat. Start with those settings and do a test cut to check that the mylar cuts cleanly for you. 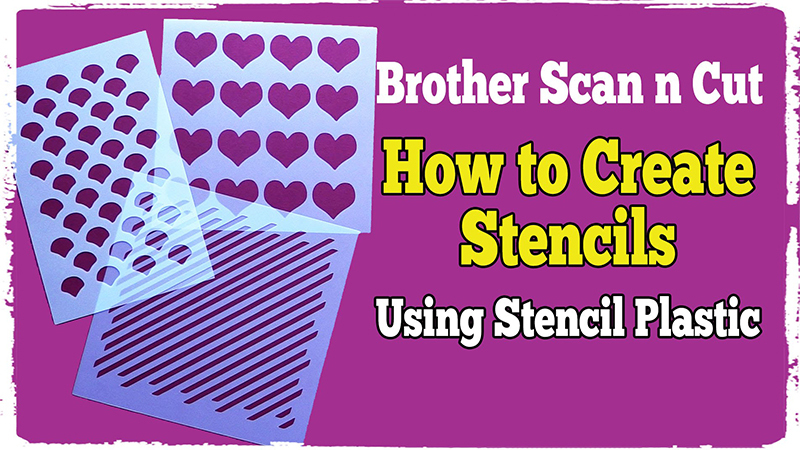 We have created a number of free Brother Scan n Cut stencil files for you to download including a heart stencil, diamond stencil and an abstract lines stencil. Simply sign up to our newsletter and you will have immediate access to these and all our other Brother Scan n Cut downloads. We will be adding more stencils over time and if you have a particular type of stencil you would like then leave a comment and we will certainly make every attempt to make it for you. Where Can You Buy Stencil Plastic! Thank you so much for this information – it is exactly what I wanted to know. I would also be interested to know if you have any thoughts on how best to turn these stencils into embossing templates / folders…? Wonderful reference to an Australian supply company – thank you! We don’t have anything specific, but you have got us thinking now, so we will see if we can come up with something. I haven’t thought to try this. How well does it work? To be honest we can’t remember but I think we just left the speed at the default setting. Nice one. 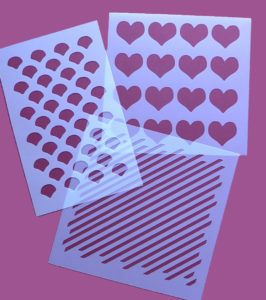 Sticker Stop is another business that can provide mylar stencils or stencil material. Thank you for the information I will add it to the post. The email comfirmation is not being sent, I checked junk mail as well. This happens every now and then for some reason. Unfortunately, we aren’t able to confirm on your behalf nor are we able to resend the confirmation email. This is part of the rules provided by the Email provider that we use to prevent us from sending you emails without your permission. I agree with it but in situations like yours where you really want to sign up, it leaves us in a position where we can’t help you. Unfortunately, the only option we have for you is to wait 12 hours and complete the sign up form again. This will then send out a new confirmation message.